Yesterday, my mother, Minal and I drove to my friend Yaksha’s house where more friends joined us. 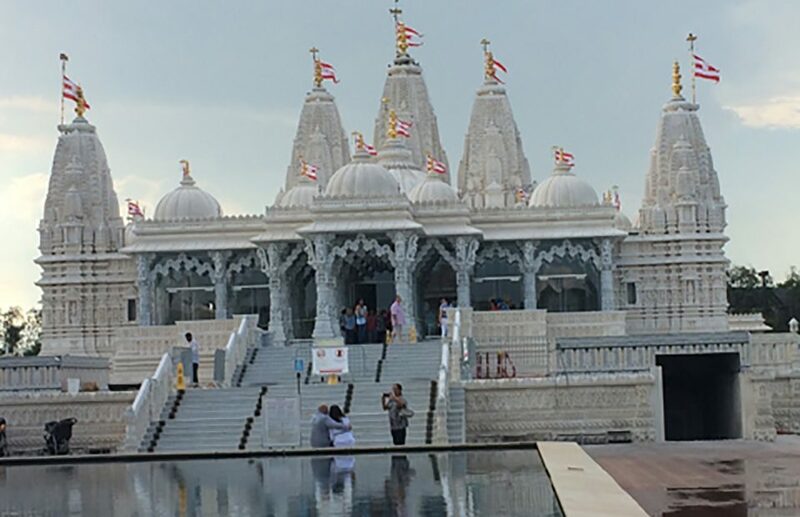 After tea and a short visit, we piled into two cars to head toward BAPS Shri Swaminarayan Mandir, so we could experience a new space. Once we parked and began walking along the man-constructed pond toward the multi-domed temple, I commented on how, though most of us in our party of seven were from India, Nepal and Pakistan, only one of us was from a Hindu background. The temple/mandir was festive, since Sunday marked the birthday of the Hindu god Krishna. Inside the temple were sculptures and and mosaic floors, and I felt transported to another continent. 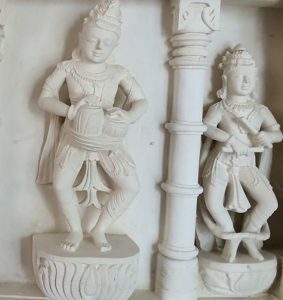 After walking through the temple, we walked to the side store and purchased South Indian snacks, which we then took back to Yaksha’s house to eat together. Once back at my house in Houston, I once again remembered how all around us mosques are being camouflaged while churches and temples are increasing in size and quantity.